(JACKSONVILLE, Fla.; Jan. 13, 2010) – Perishable cargo coming into South Florida with highly mobile, non-indigenous pests can now be contained and prepared for fumigation while retaining refrigerated temperatures as Crowley Maritime Corporation has developed its first Highly Mobile Actionable Pest (HMAP) Refrigerated Chamber at Port Everglades. Fresh fruit and vegetables imported from the tropics may harbor pests that can travel and multiply quickly in South Florida’s warm climate. Traditionally, cargo found with highly mobile pests that needed some type of manipulation prior to fumigation have been returned to their country of origin. Now with Crowley’s new HMAP Refrigerated Chamber these perishable cargoes can be segregated and prepared for fumigation while maintaining refrigerated temperatures. Crowley’s innovation, which is available to all shippers transporting perishable cargo into South Florida’s Port Everglades, benefits shippers because the shipment no longer has to be re-exported if highly mobile pests are found and manipulation of the cargo is needed. 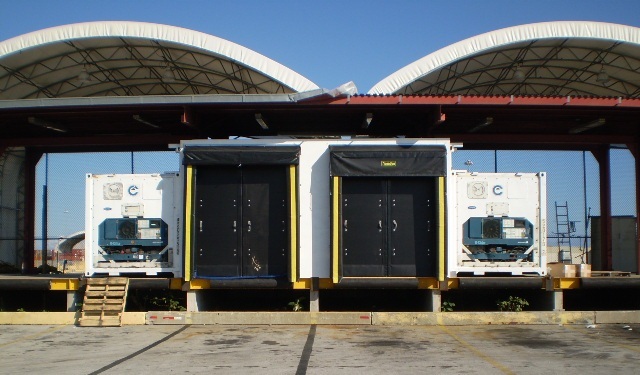 Crowley’s HMAP Refrigerated Chamber exceeds the requirements established by the Animal and Plant Health Inspection Service US Department of Agriculture (APHIS USDA) and applies to international cargo shipments that have been determined by Plant Protection and Quarantine (PPQ) identifiers to be infested with highly mobile actionable pests. “Crowley’s new HMAP Refrigerated Chamber gives shippers using Port Everglades peace of mind because they can now bring their perishable produce into South Florida without worrying about wasting time and money due to re-exportation,” says Port Everglades Director Phil Allen. Crowley operates the largest container terminal in Port Everglades on a long-term lease which has recently been amended to include an additional 12 acres. The economic impact resulting from Crowley’s activity at Port Everglades is estimated to support 31,983 jobs statewide and generate personal income of $1.1 billion, plus state and local taxes of approximately $80.1 million. These impact estimates are based on the Port Everglades Economic Impacts Model developed by Martin Associates as part of the 2006 Port Everglades Master/Vision Plan.